See also original Silver plan location on their website! Plesk is one of the most user friendly, and powerful control panel available for you to manage your hosting account at your convenience. You can now add email accounts, databases, backup the entire website, view bandwidth,disk space and much more all with just ONE click! There are just so many features that we can't list them all here! With a click of the mouse, you can instantly install a script without any programming knowledge. It simply means that with one click, you can have well-known tools such as DotNetNuke, Wordpress, Drupal, Joomla, phpBB, nopCommerce and even personal gallery ! Windows mail server software with webmail, caldav, carddav, antivirus, spam filtering - Fast, secure email server software for windows. Our Microsoft Windows Enterprise Hosting included Micorosft SQL 2014 Database for your website application needs!! Our server support ASP.net 4.0/4.5 with AJAX and Silverlight. With Serverfreak hosting account, you get access to two powerful stats tool: AWStats. AWStats provide you with information on what brings people to your site and what keeps them there. With proper statistics, growing your site's audience becomes easier! 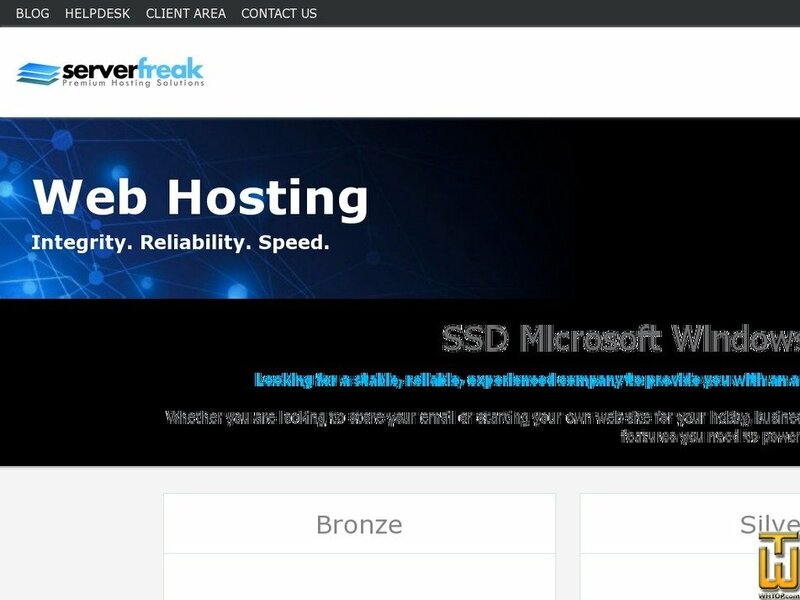 Whether you are looking to store your email or starting your own web site for your hobby, business or family website, our Microsoft Windows hosting plans are designed for you with all the features you need to power your web presence! Price: MYR 273.00/mo. VAT exc. Price: MYR 300.00/yr. VAT 6% exc.